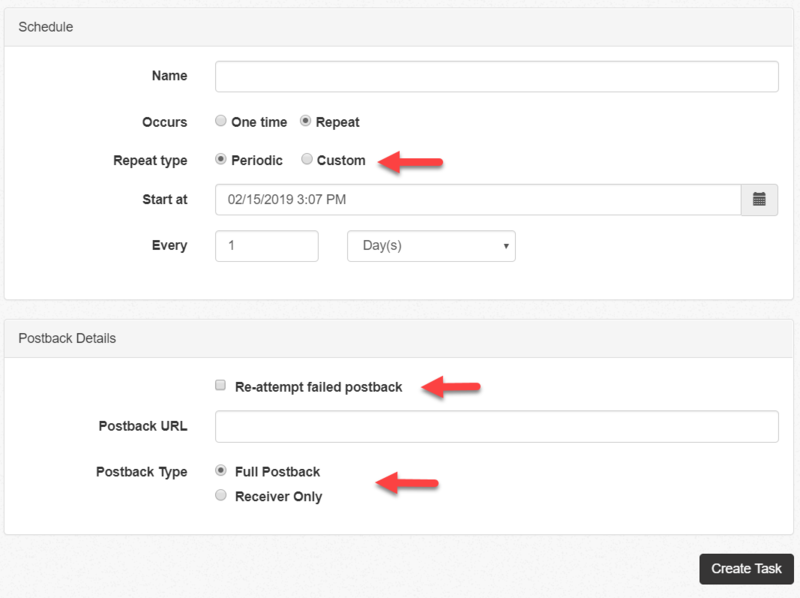 The Postback URL tool is commonly used by developers for real-time server integration. However, instead of posting your scan records in real-time, you can also schedule a task to directly post them to your own server or to a third-party server at preset intervals (see limits). Every record is posted one at a time to the designated server. Those scan records can be filtered in many ways and posted based on a pre-configured export template. The posts can be Full Postback (your server or third-party server responds to each post) or Receiver Only (no server response required). You can also re-attempt failed postbacks that were to have been sent in real-time but failed for connection errors.